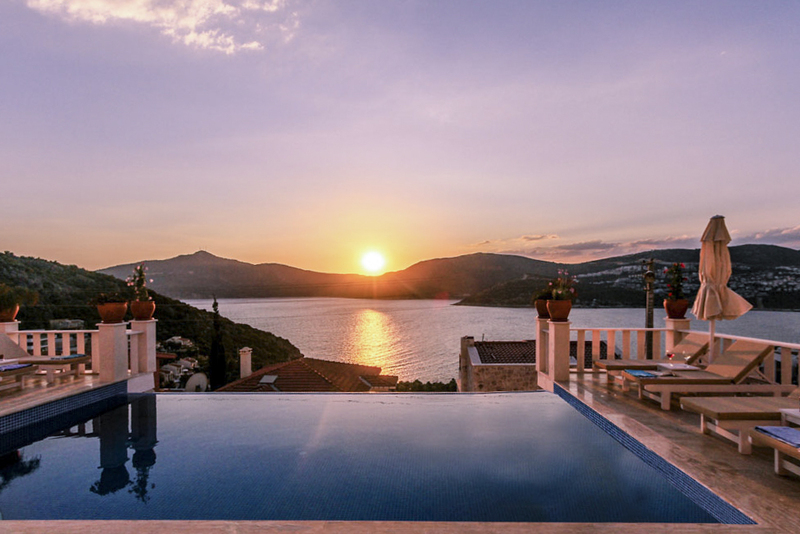 Villa Keci is an extensive seven-bedroom villa in Kalkan on Turkey’s renowned Turquoise Coast. 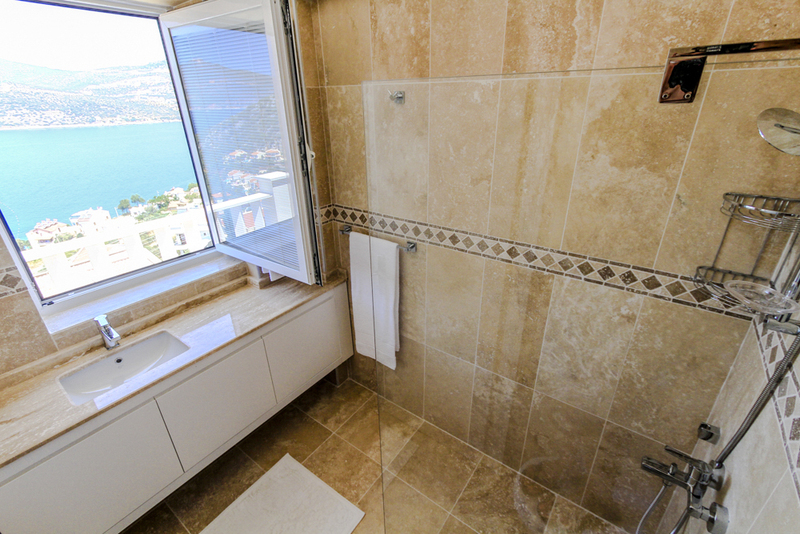 The modern property boasts spectacular views of the sea from its balconies and terrace. 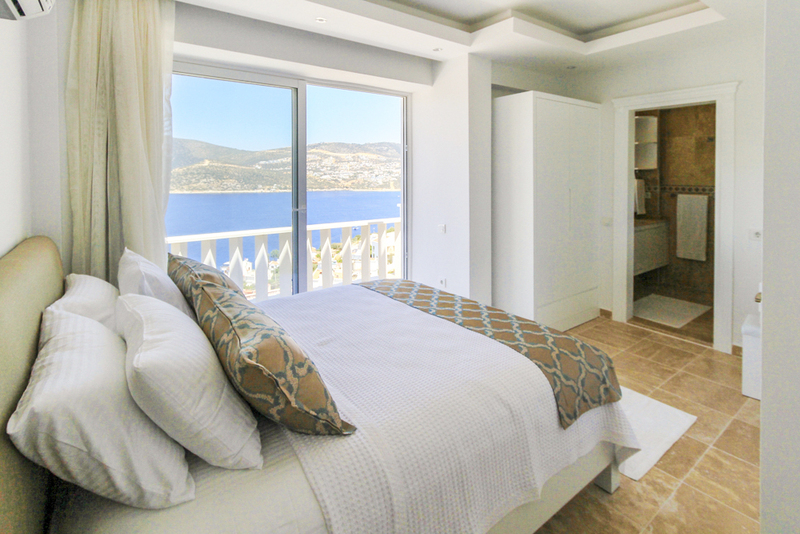 From the villa, it’s just a five-minute walk to the nearest beach with crystal-clear swimming waters and a short walk to the town’s charming centre with plenty of things to see and do. 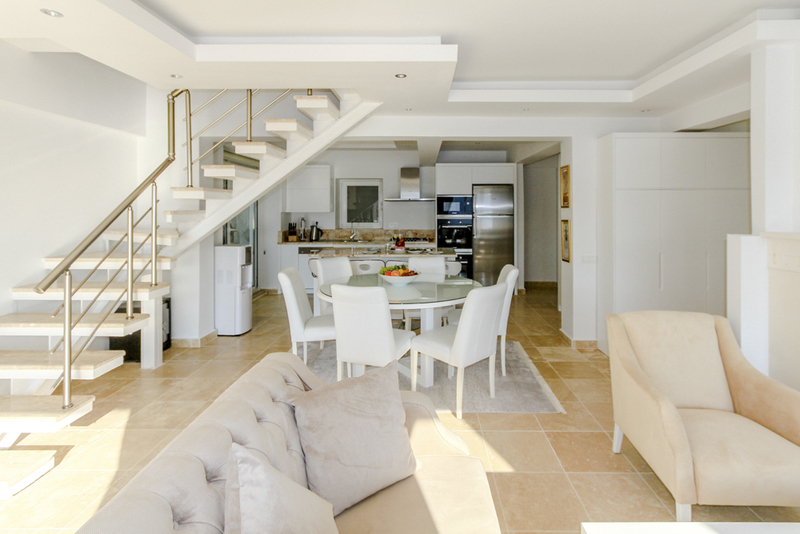 This family-friendly villa elegantly combines traditional Turkish architecture with cool contemporary interiors. Outside, the building is minimalist and classic with whitewashed stone walls, while inside the rooms are airy, welcoming and spacious with cream-coloured furnishings and large floor-to-ceiling windows and doors that let in the lovely natural light, creating a feeling of serenity. For a relaxing home-from-home experience, there’s a large living, kitchen and dining area equipped with modern appliances and space to dine while soaking up the vistas. 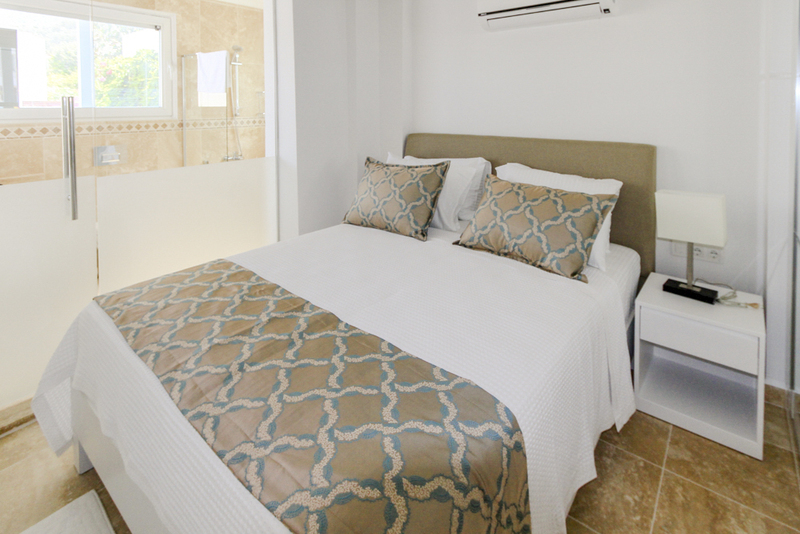 All rooms are fully air-conditioned, and there’s Wi-Fi throughout. 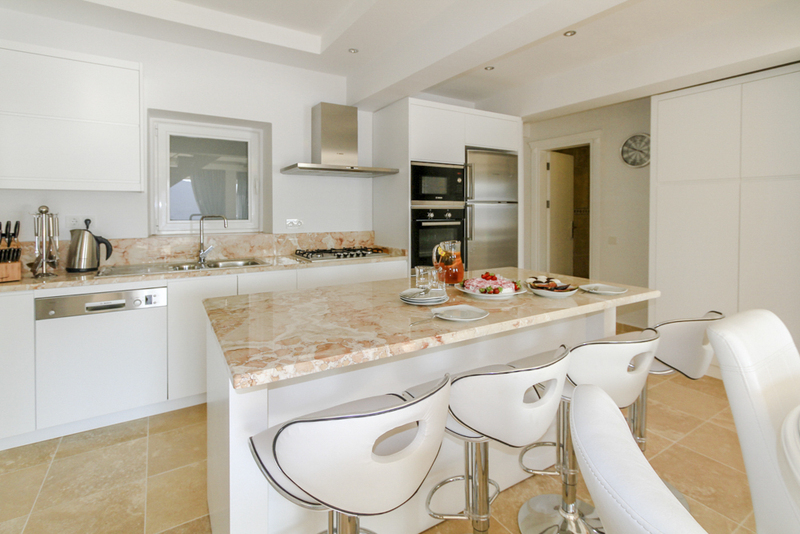 You’ll also find a TV and DVD player to keep you entertained on those chilled evenings in and a BBQ for dining outside in the warm weather. 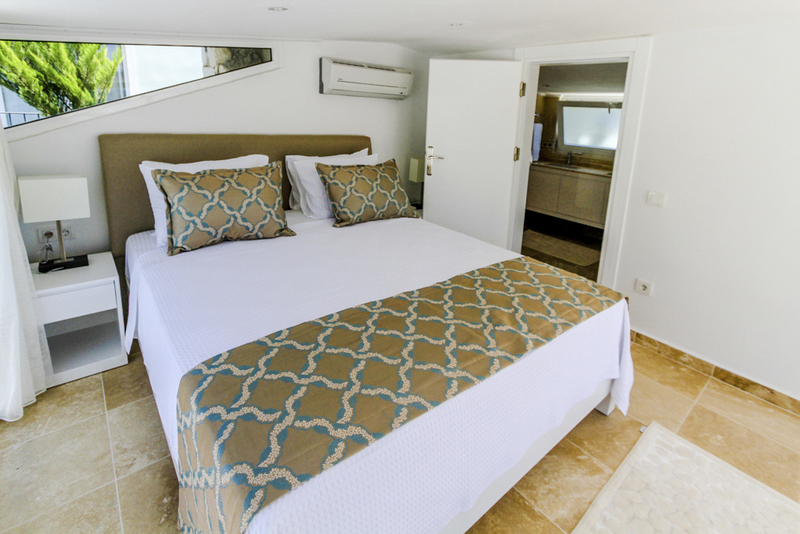 This villa sleeps up to fourteen people comfortably across its luxurious five double bedrooms and two single rooms. 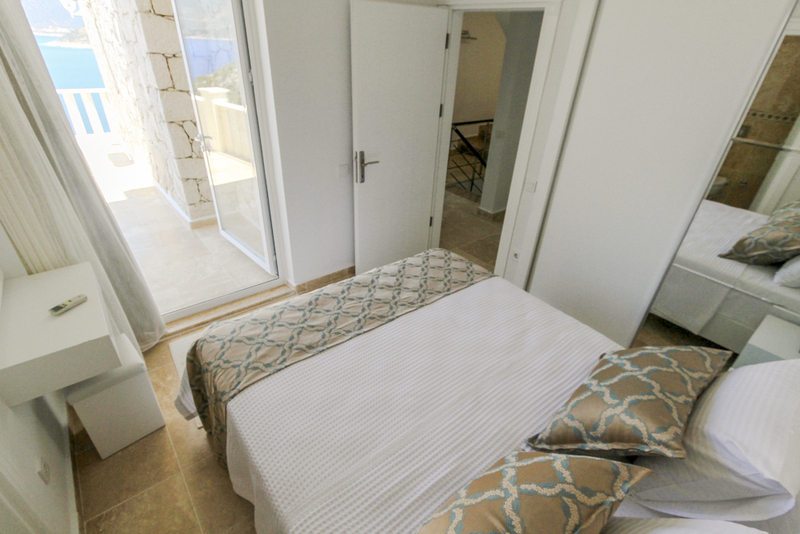 Some of the rooms lead out onto balconies, so you make the most of the tranquil outdoor setting. There’s also a private outdoor swimming pool and a terrace that’s dotted with furniture and umbrellas – perfect for sun-lounging in peace or enjoying a refreshing drink after dinner. 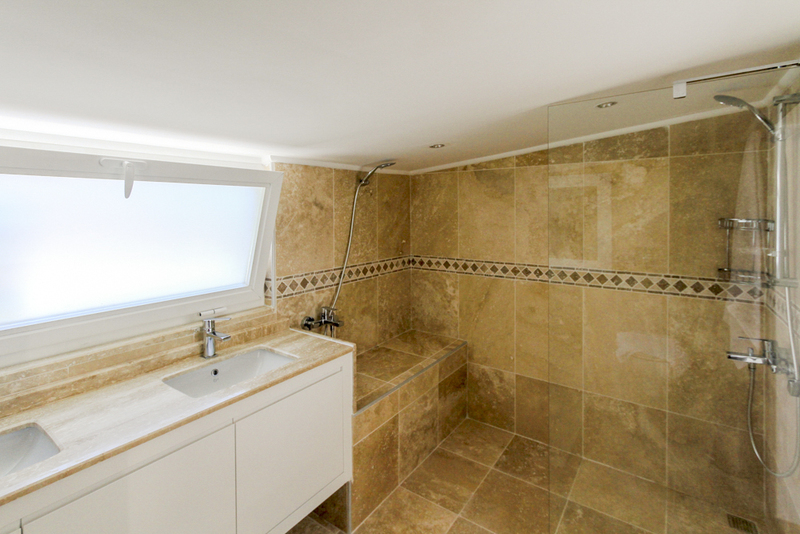 Oh, and did we mention there’s a hot tub too? 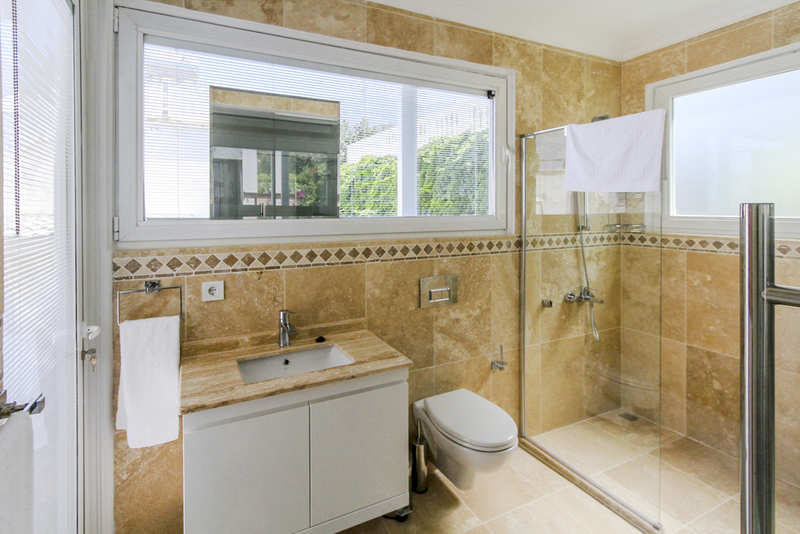 Ideally located in a peaceful spot away from the hustle and bustle, yet close enough to walk to all the action, Villa Keci is perfect for couples, families and friends alike. 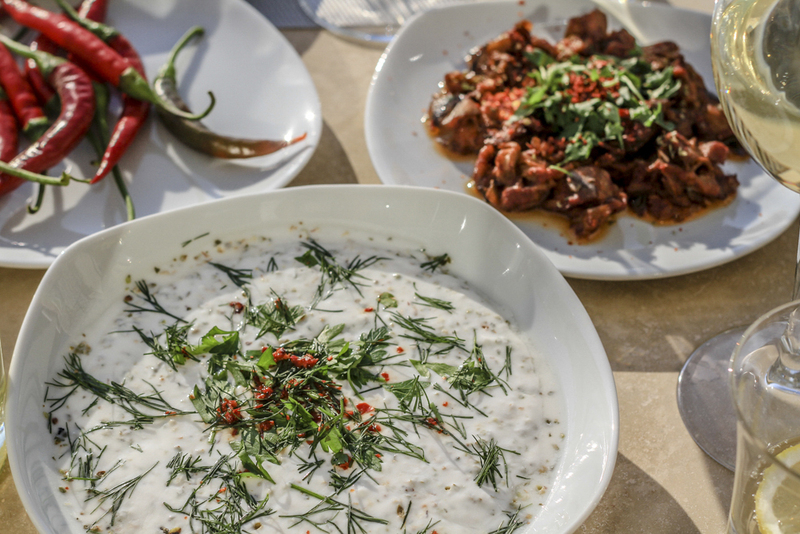 There’s a weekly market (Thursday) 2.2km from the villa where you can pick up fresh produce of souvenirs, alongside plenty of waterfront restaurants, cultural sites and outdoor activities to take part in and around Kalkan. 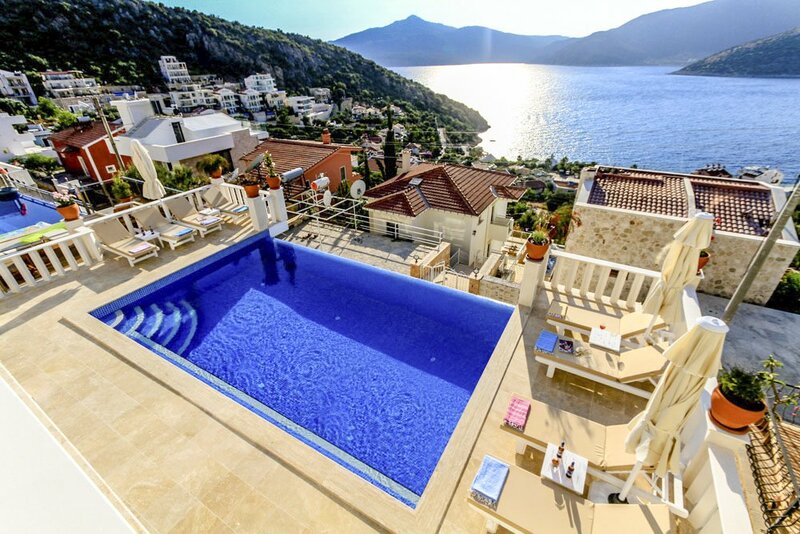 Kalkan is a charming Turkish town known for its vibrant waterfront restaurants, quaint boutique-lined streets and unspoilt rural terrain. 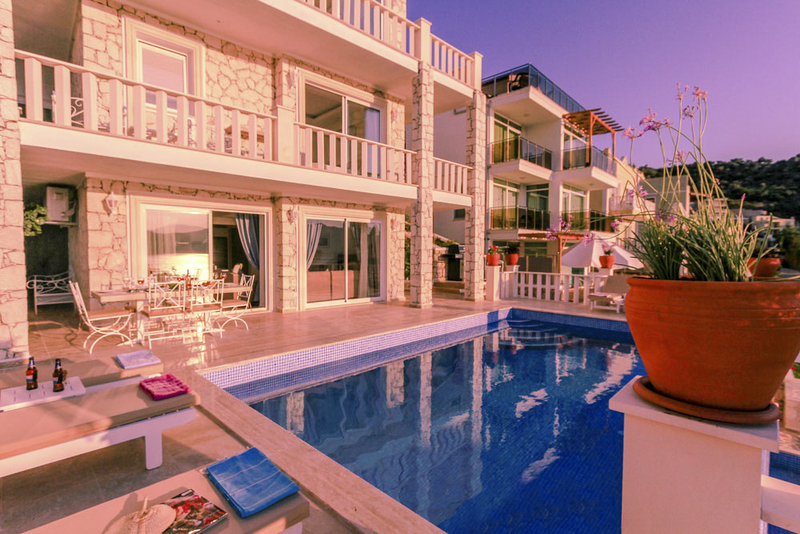 It sits on the Turkish Mediterranean coast and has a backdrop of the stunning Taurus Mountains. 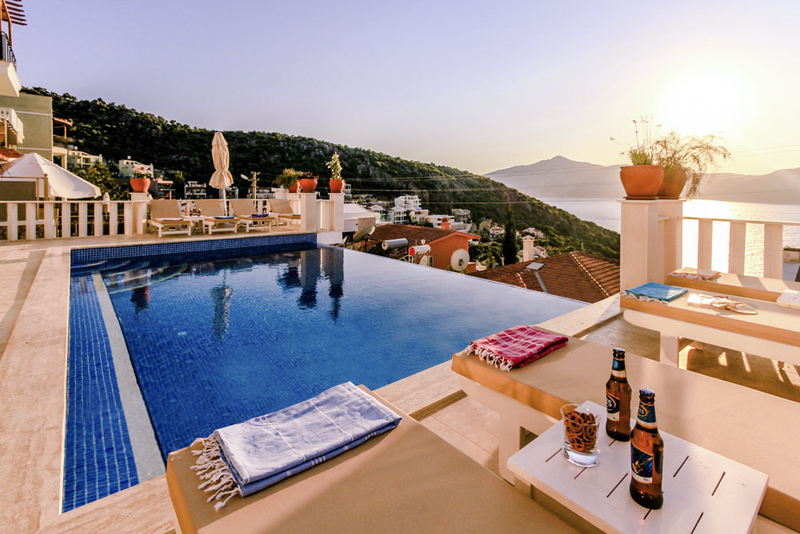 The villa is a 20 minute walk from Kalkan’s centre where you’ll find this compelling combination of fun things to see and do, including many eateries. In Kalkan, there’s a beautiful Old Quarter, where you can wander the whitewashed streets and visit the quirky shops and unique boutiques. Kalkan's Thursday market is 2.2 km from the villa where you can haggle for traditional Turkish rugs (kilims), jewellery, handmade arts and crafts or fresh produce for when you’d like to cook back at the villa. When you’re peckish, stop off for lunch at one of the waterfront or sample the traditional golmeze (thin dough crepes) prepared at the market. For outdoor adventuring, the Taurus Mountains can be explored walking the popular Lycian Way. 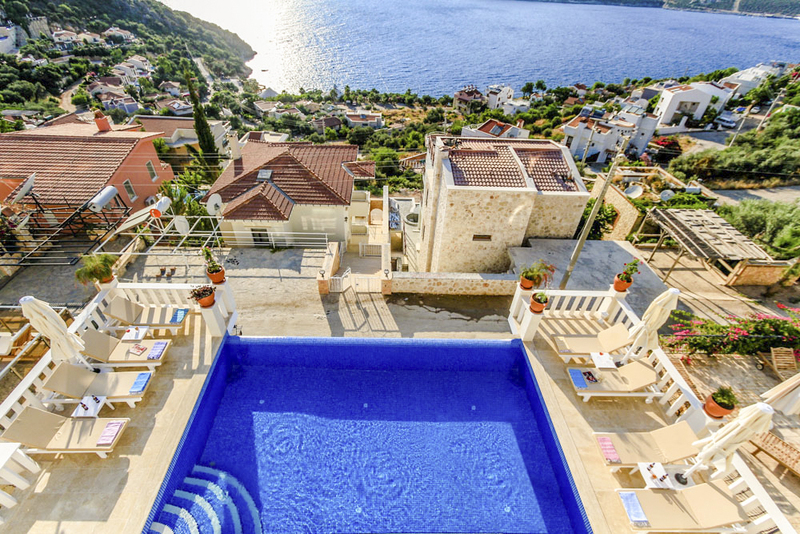 You can also jump on the local bus (dolmus) – Kalkan Bus Station is 2.5km from the villa – for venturing to Kas or Patara. A car is the more convenient option but if you'd prefer someone else to drive you can also take a day trip to Saklikent Gorge, Kekova sunken city or go Canoeing on the Xanthos river. 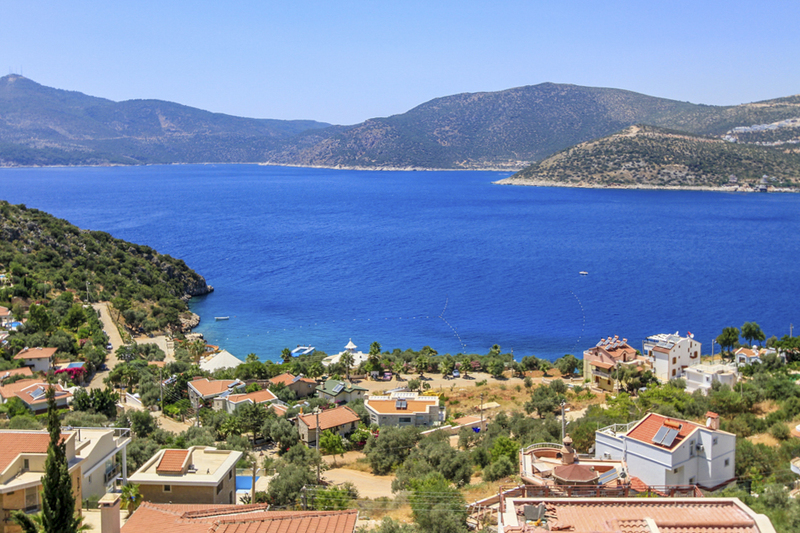 There are also plenty of swimming beaches in and near Kalkan including Kaputas Beach and Patara Beach, both favourite spots to swim, take a picnic and you can spend the day. You can also take part in water sports like scuba diving, paragliding or sea kayaking. If history is your thing visit the Lycian cities at Myra, Patara or Xanthos.